The hair loss industry is a billion-dollar one. Do a Google search for hair loss products and you’ll find numerous cures – everything ranging from topical treatments to hair transplants and light combs that stimulate the scalp. It’s no wonder people are willing to part with so much money to keep, or get back, their hair. Since Ancient Egyptian times, humans have treasured our locks and done anything to keep them healthy and gorgeous. Back then, the Egyptians sought ways to stop hair loss and stimulate hair growth. Typically, they did this by applying a cocktail of iron oxide, red lead, onions, alabaster, animal fats and honey to their scalp. Cleopatra is always depicted with thick, shiny, black hair, so maybe this ancient concoction really worked! Unfortunately, not all treatments or remedies do work. Hair-loss science isn’t perfect and there is quite a bit of misinformation out there that allows some dubious companies to sell solutions that may or may not work. Our heads have about 120,000–150,000 strands of hair. On a typical day, it’s normal for both men and women to lose about 100 hairs. Sometimes, however, it seems we find more and more hairs left in the brush, in the sink drain, and on our pillows. When this happens, we become stressed, worried we will become bald. This does not help matters. We lose hair for several different reasons. As we age, we experience a decrease in both hormone production and nutrient absorption. This causes the growth of our hair to slow. Nutritional deficiencies along with genetics, illness, stress and trauma, and autoimmune disorders, also play a major role in hair loss, as does air and water pollutants and sunlight’s phototoxic aging effects may facilitate alopecia. 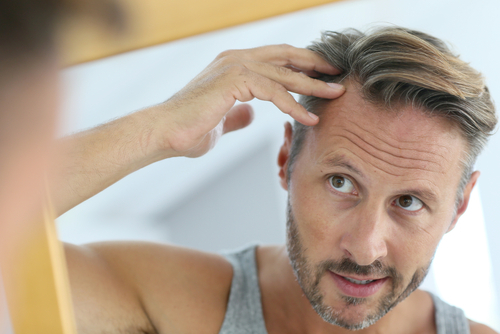 While many people tend to panic and reach for a topical treatment that contains harsh chemicals, there are more natural ways you can prevent hair loss. Your first step to a healthy head of hair? A healthy, balanced diet. Hair needs iron to grow properly, so make sure to eat plenty of lean red meats and dark green veggies. Iron will not only help your hair’s growth cycle (so your hair will grow longer before being shed), it also delivers oxygen to hair follicles, which helps incite growth as well. Next, it’s really, really important that you get enough protein in your diet. When you consider that hair is made of protein, you realize you’ve got to eat enough of it. 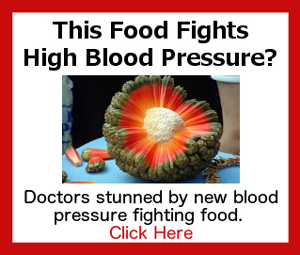 20 – 30 ounces per meal is best. Also important are omega-3 fatty acids, which facilitate the production and action of hormones and oily lubricants that keep our locks glossy and gorgeous. The best source of omega-3s are cold water fish, but if you really don’t like eating fish, then we recommend a great fish oil supplement instead. Of course, a healthy scalp requires you get all of your vitamins and minerals as well, so eat a lot of fresh veggies and fruit, and also consider taking a daily multi-vitamin. While eating a proper diet consisting of whole foods is always a good idea, sometimes you won’t be able to get specific nutrients that are known to stop and reverse hair loss. In these cases, it’s a great idea to take them in supplemental form. Beyond the zinc, iron, B and D vitamins already mentioned, consider taking biotin, kelp and saw palmetto. Did you know ¼ of each strand of hair is composed of water? Did you also know drinking too much alcohol or coffee dehydrates you and makes your hair dry and brittle? Common vices like coffee, tobacco, and alcohol can wreak havoc on your mane. Besides dehydrating, alcohol also depletes the body of iron and zinc, as does caffeine. Cigarette smoke, meanwhile, contains toxins that accelerate hair loss and cause you to go prematurely gray. What isn’t clear is whether these nicotine toxins are directly affecting the scalp or simply speeding up the entire aging process. What is clear is, quitting stops the problems. It’s not just what we ingest, but what we put on our scalps that can determine the health of our hair. Many women dye their hair for years, and all of those chemicals can damage hair follicles. The same can be said for the shampoos we use. There is evidence that the sodium laurel or sodium laureth sulphate (SLS) found in many commercial shampoos, is doing more harm than good. SLS corrodes hair follicles and impairs the ability of hair to grow. These chemicals are added to shampoo to make them get very foamy and frothy. People psychologically feel they are getting cleaner when their personal care products foam. But the foaming is not necessary to get clean. Avoid these and opt for a shampoo that contains all all-natural ingredients. Telogen effluvium is a condition where hair is shed rapidly after a stressful or traumatic situation. When we are stressed, our body releases a cocktail of hormones so we can respond to the “fight or flight” scenario. This sudden, intense hormonal imbalance often results in hair shedding significantly and temporary thinness or bald spots, usually at the top of the head. Stress is all around us, and while we can’t necessarily prevent it from entering our lives, we can control how it affects our bodies.